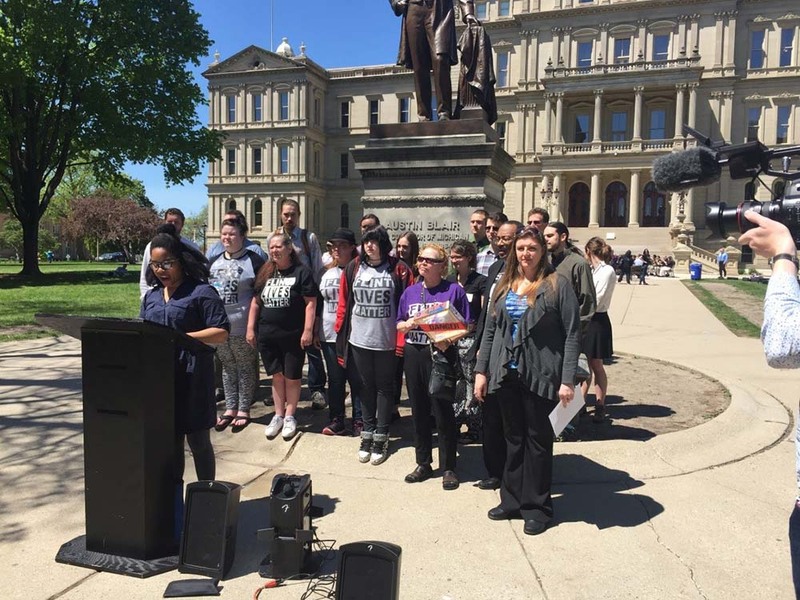 As late as the week before, it looked like there was a good possibility that the Legislature would adjourn for summer recess without passing funding for Flint. The State Senate passed $128 million in emergency funding for Flint with a 34-3 vote in early May. For weeks, the Senate bill languished in the House. 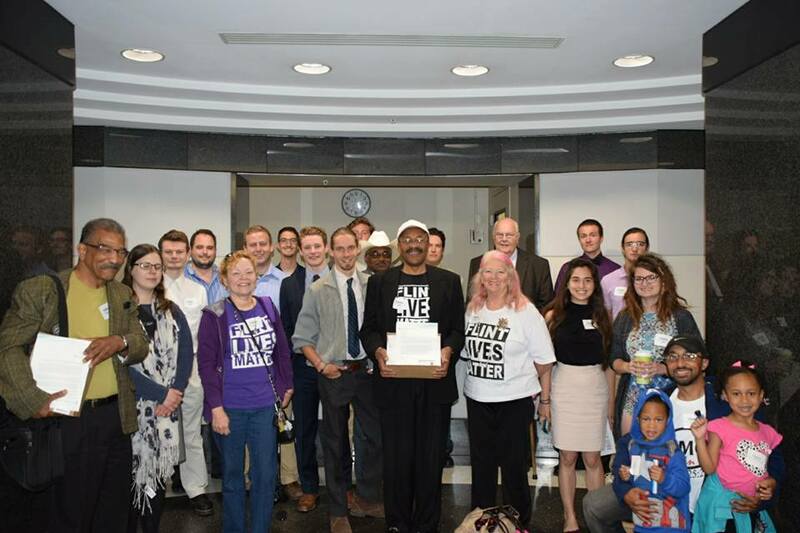 Along with activists from Flint Rising, we delivered over 8,000 letters from Clean Water Action members in 47 state house districts to their representatives asking them to pass funding for Flint. Over all, Clean Water Action members in 92 out of 110 state house districts contacted their lawmakers about this. Activists in Flint flooded Speaker Cotter’s office with phone calls. Religious leaders from Flint held weekly prayer vigils in the Capitol. In the end it all paid off, and in the final budget omnibus bill $114.3 million was included in emergency funding for Flint available immediately. This is the first major legislative victory for Flint since the water crisis began over two years ago. This funding package is a great start, but it won’t cover everything. For example only $25 million is earmarked for replacing lead service lines. Even the most conservative cost projections claim it would take $51 million to replace all lead service lines in the city, so current funding will cover almost half of the expense. Also included in the funding is an additional $12.75 million ($30 million had already been passed for this) to repay Flint residents for their water bills. Even with all $42.75 million passed for that purpose so far, they will only reimburse water bills at 65% of the amount paid, while the water was 100% poisoned. Included in this package is $8 million in federal funding for child care and development for emergency needs. Thank you to all the Clean Water Action members across Michigan who took the time to reach out to your lawmakers. The fight for Flint is far from over, but this emergency funding is a step in the right direction. Now we need to stay engaged on this issue and make sure that Flint is not forgotten about in next year’s budget.